Cobh is best known as an early stop on the RMS Titanic’s fateful voyage in 1912, but there’s a lot more to its history than just that one event. Uncover some on this short tour of the central city. 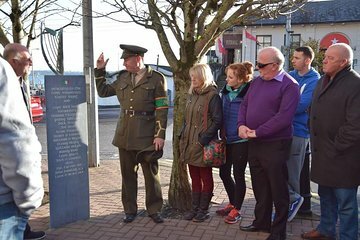 Visit a number of locations where the history of the Irish Republic was written by Cobh volunteers: safe houses and prisons, barracks and sites where raging battles took place. Discover this often-unspoken side of the city with the help of your guide, a local historian.